I would like to say, your work is very detailed. I was so thrilled to hear the lovely way you used the music I selected to go with the pictures. I know we will enjoy it for many years. You were easy to work with - most enjoyable. Thank you so much for all the hard work you put in on making the DVD's of my Daddy and Kids. The time you spent on all the little extra things you did to make them special and the care you took in making sure the requests I had for them shows you care about how special family memories are! You somehow make the pictures come to life! I will treasure them always! It has been so hard to find the words that truly express our gratitude and appreciation for all the hard work and professionalism you put into making our wedding DVD. Honestly we did not know what to expect. But from the moment we looked at the cover, we were amazed! We could not wait to watch it.If I had to describe it in one word, it would have to be "beautiful"! The way it all tied together with the effects, the music, and how it captured not only the emotions of each moment, but our love for one another. It was so touching, we actually cried. We will treasure it for many years. Our family thanks you from the bottom of our hearts for the very professional job you did for Daddy's 100th celebration. We appreciate the beautiful work and your kind patience. 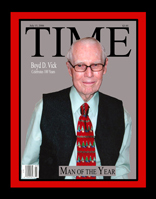 Mr. Vick joined his Lord and Savior on December 16, 2007 - Please visit his Memorial. Thank you so much for our Memorial of my father-in-law, even though he is very much missed. Thanks to the hard work and time you put in the video it just reminds all of us so much how loved and loving he was. This will be a great treasure for his Grandchildren and Great-Grandchildren. Thank you for your hard work. Thank you so much for all the hard work and love you put in for Dad's funeral service and Rosary. You did a wonderful job and you are greatly appreciated. Thanks again. Thank you for doing such a wonderful job on the 50th anniversary video and pictures for my parents' anniversary party. They will be a cherished memory for generations to come. The photography at our wedding was exquisite, we could not have been happier with the results. Glen was very professional and special attention to every detail throughout the day. 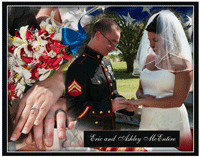 Having a great photographer helped capture all the memories that will last us a lifetime. I am writing to express my appreciation for all your hard work in creating an amazing video tribute to my dad. My mother and I were touched by the detail and care you took in preparing the video. My desire for this video is that Larry's grandchildren will get some idea of how amazing he was as an individual. Thank you for your understanding, diligence, and craftsmanship. Thank you for all the hard work you have put into our wedding pictures. The pictures and details are beyond my expectations. Our parents were thankful for the "Growing Up" DVD copy that you made for them. It is such an extravagant gift - your kindness is appreciated. 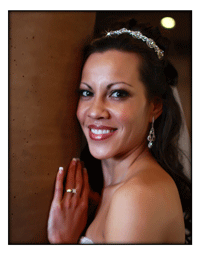 We would like to thank you for an amazing job you did at our wedding ceremony. We were so impressed with your professionalism, organization, and people skills. You not only did our videography, you were on a very personal level with us, making us feel at ease, relaxed, and worry free; which we truly appreciate. Weddings are very very very stressful, but very fun and exciting at the same time. We can't thank you enough, everywhere we turned you were there for our questions, or just a sweet smile and compliment. You have made our special day unbelievably memorable. At any point in time, we can always look back to our beautiful video and re-live our special day time and time again. Thank you so very much for doing the photos for us. Glen! They are amazing and I absolutely love them all!! We can never begin to thank you enough and just want you to know how very much we truly appreciate you doing the photos for us. We will cherish these for many years to come. Thank you again! Thank you so much for the hard work, dedication and attention to detail that you displayed in handling the videography of our dad's funeral services. The professionalism you showed in all aspects of your work were greatly appreciated. It was a pleasure working with you and know that we couldn't have asked for anything better than all the media you put together so that we can look back on the day we laid our dad to rest with pride.